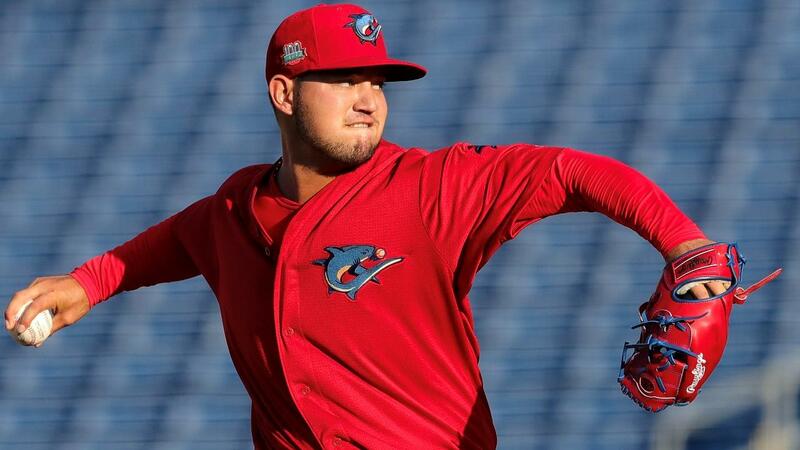 CLEARWATER, Fla. - The Clearwater Threshers could not hold on to a late 1-0 lead and suffered a 5-4 extra inning loss to the Fort Myers Miracle in the first game of a three-game series at Spectrum Field. Clearwater (2-7), off the strong arm of Alejandro Requena, held a 1-0 lead until the ninth inning when Fort Myers (5-4) tied the game on sacrifice fly from Royce Lewis. After Fort Myers (5-4) grabbed the lead in the 10th inning, Clearwater would respond with a run of their own with a sacrifice fly from Madison Stokes to score Simon Muzziotti. The visitors broke the 2-2 deadlock in the 11th inning when two runs came across on bases-loaded walks issued by Clearwater reliever Zach Warren. The home team continued to fight back, capitalizing on the extra- inning rule with a runner on second when Ben Aklinski hit his first homer of the year to tie the game at four. The goodwill wouldn't last when Fort Myers scored another run in the top of the 12th inning to grab a 5-4 lead. Despite starting the bottom of the frame with the runner on second, Rodolfo Duran lined a ball right to pitcher Alex Phillips, who turned a double-play to erase the runner Jhailyn Ortiz. The Threshers were unable get anything else done in the 12th and fell to Fort Myers 5-4. It was a tough no-decision for right hander Requena, who pitched six one-hit frames with eight strikeouts. The native of Venezuela has tallied 16 strikeouts in 11 innings of work to open 2019. Right hander Connor Brogdon blew his first save of the year with two runs allowed in two innings. Grant Dyer (0-1) picked up the loss after allowing the go-ahead run to score for Fort Myers in the 12th. Saturday night will feature another amazing fireworks display after the conclusion of the contest, presented by TNT Burgers.